The Jewish "leap year", which occurs seven times in a 19-year cycle, has 13 months instead of the regular year's 12. This is so that the lunar-based Jewish year should remain aligned with the solar seasons (12 lunar months make up a total of 354 days — slightly more than 11 days short of the 365.25 day solar cycle). The added month is called "Adar I" and is inserted before the month of Adar (termed "Adar II" in leap years). When Do I Celebrate My birthday in a Leap Year? 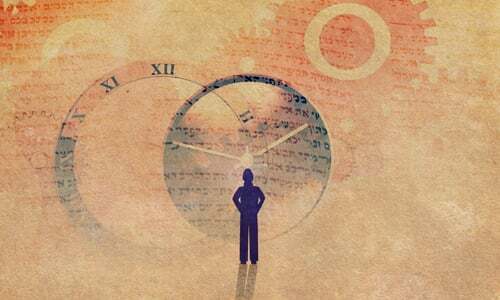 In a Jewish Leap Year, During Which Adar Do I Observe Yahrtzeit? Every 19 years, there are 7 leap years. To determine whether a Jewish year is a leap year, you must find its position in the 19-year Metonic cycle. This position is calculated by dividing the Jewish year number by 19 and finding the remainder. (Since there is no year 0, a remainder of 0 indicates that the year is year 19 of the cycle.) For example, the Jewish year 5779 divided by 19 results in a remainder of 3, indicating that it is year 3 of the Metonic cycle. Re: jewish birthday It's always good to feel young, regardless of how many years actually passed since your birth. jewish birthday if born on a leap year, feb 6th 1957-(apparently my birthday would be 5th adar 1 5717.) how many leap years since my birth date? How 'old' would i be? my kids and I laugh that I'd be 19 but how old would I actually be? Nobody has been able to help me, so I'd really appreciate it. Adar 25 I am researching some historical facts about Babylonian king of Nebuchadnezzar. I read an article that he died on Adar 25. I am not familiar on the Jewish calendar. This year there are two Adar months. So in which Adar month, I or II, do I have to consider for the date of the death of the Nebuchadnezzar? March 5(25 Adar I) or April 4 (25 Adar II)? Leap years Years 3, 6, 8, etc. you said. But of what calendar year? Gregorian (C.E. ), or rabbinic Hebrew (A.M.), or Scriptural year? How did you come up with a remainder of 14. I divided 5771 by 19 and came up with a quotient of 303.73684 so how do I get to 14 from there?